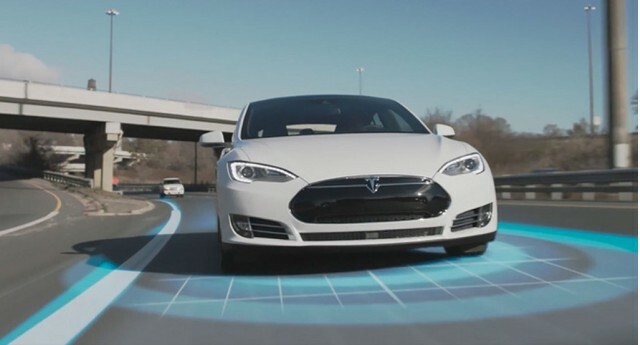 Electric cars are generally assumed to be a perfect match for autonomous driving due to their low running costs. Future autonomous vehicles will require very large ranges (i.e. expensive and heavy battery packs). Specialization will allow internal combustion engines to operate under optimal conditions most of the time. Fuel costs of future autonomous ICE hybrids will be similar to autonomous BEVs, while capital costs are much lower. Ultimately, electric cars and autonomous vehicles are much like a celebrity couple: looks great together at first glance, but does not work so well in the real world. As discussed in the previous article, most green advocates simply assume that, because solar and wind produce electricity and electric cars can efficiently consume electricity, they are a match made in heaven. This is untrue, mainly because wind and solar (solar in particular) do not fit well with convenient and economic night-time charging of BEVs. There is another assumed synergy involving electric cars: they are perfect as future fully autonomous vehicles because they have low running costs. As this article will demonstrate, this assumed synergy cannot stand up to critical analysis either. My expectation for future road transport energy consumption is a large shift from city to highway. 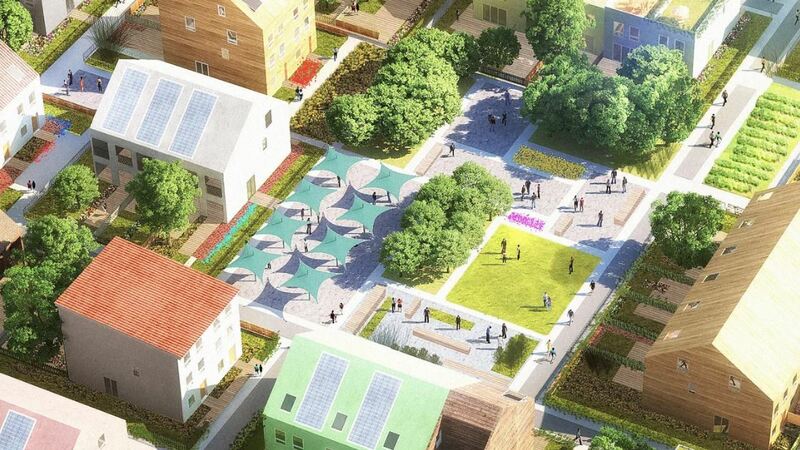 Cities will increasingly embrace car-free living through pedestrian/cyclist-friendly city planning, telecommuting, small electric vehicles and public transport. This just makes sense from every possible angle – be it economics, practicality, health or sustainability. Simultaneously, highway travel will increase, mostly through the freight segment. As the global middle class quadruples in size and international trade continues to increase, the amount of stuff that needs to be transported over long distances from producer to consumer will increase tremendously. Passenger highway travel will also increase, mainly because autonomous driving will make longer road journies less tiring, less time consuming, and cheaper. 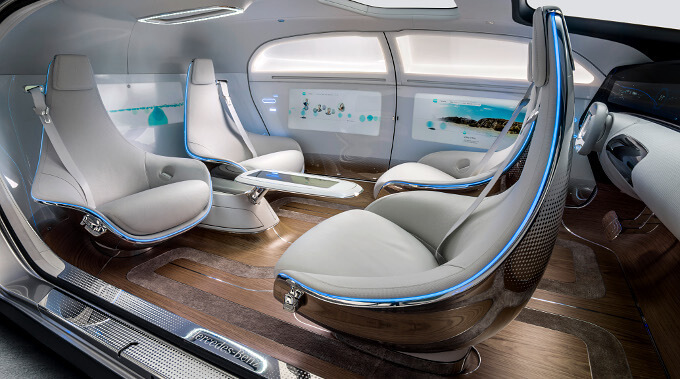 The comfortable interior of a future autonomous vehicle (source). A previous article discussed the likely scenario that future vehicles become much more specialized than today’s general purpose cars. In this future scenario, specialized highway vehicles were estimated to consume more than 60% of transport energy related to personal mobility. When adding freight to the equation, it is quite possible that 80% of future road transportation energy will be consumed on highways. Future autonomous highway vehicles will need a range in the order of 1000 miles to maximize practicality, fleet flexibility and capital utilization. Travelling speeds will be much higher than today and long journeys will be much more comfortable, making it common for such vehicles to travel more than 1000 miles per day. In addition, energy consumption per mile may be higher than expected due to higher travelling speeds and generally taller and heavier vehicles aiming to maximize occupant comfort or freight volume. Methods like platooning can reduce energy consumption, but could be too impractical and/or unsafe for regular use. An electric car deployed for this purpose will need a battery pack of about 300 kWh. Even when highly optimistic battery cost reductions to $50/kWh are assumed, the battery alone would cost $15000 on such a car. Great improvements in battery specific energy will also be required in such a case. With the maximum achievable lithium-ion battery pack specific energy around 200 Wh/kg, a 300 kWh battery pack would weigh a massive 1.5 tons. For the 20% of transport energy consumption taking place in cities, the maximum range requirement will be less due to much lower travelling speeds. I estimate that 400 miles will be sufficient. Lower travelling speeds will also reduce energy consumption per mile so that such a car can make do with a 100 kWh battery pack. Naturally, gradual battery degradation and cold periods will significantly reduce the real-world range of a BEV. Battery longevity also requires minimal use of the full battery capacity. A significantly larger battery pack than the numbers given above will therefore be required in practice. A future technologically mature electric car could be able to achieve 90% plug-to-drivetrain efficiency. This implies that losses in battery charging, discharging, power electronics and the electric motor are only 10%. Current efficiencies are probably around 80%, so there is not much room for improvement. In contrast, the pump-to-drivetrain efficiency limit for an internal combustion engine (ICE) car is probably around 60%. This includes about 55% efficiency from advanced combustion engines (e.g. Mazda’s SPCCI engine aiming for 56% or Achates’ opposed piston engine aiming for 55%) and a further 5% from waste heat recovery via thermoelectric generators or organic Rankine cycles. 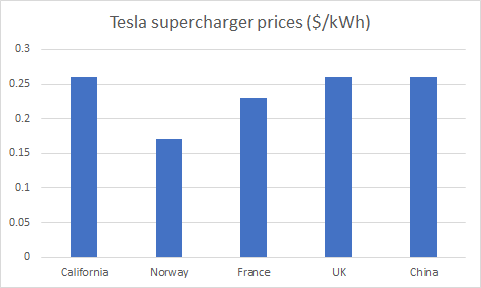 Current maximum efficiencies are around 42%, so the relative improvement potential is much larger than for BEVs (almost 50%). Significant further fuel efficiency improvement can also be expected from specialization of autonomous vehicles, allowing the ICE to operate in its most efficient operating range almost all the time. Such specialization can even allow a direct drive system (like a BEV) to minimize transmission losses. All ICE configurations will be hybridized so that the electric motor takes care of acceleration and deceleration (regenerative braking), while the ICE just chugs along in its optimal operating zone for maximum efficiency, longevity and environmental performance. Technologically mature BEVs will therefore be about 50% more efficient than technologically mature ICE hybrids. When also accounting for the weight of a large battery pack in the BEV, this difference may be even smaller. 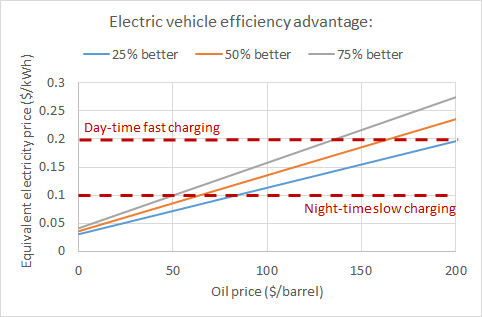 The relation between oil price and electricity price at three different BEV efficiency advantages is displayed below. As shown, a technologically mature ICE hybrid will be able to compete with a BEV with a 50% efficiency advantage at oil prices below $60/barrel when charging is done from a slow charger at night. For fast charging during the day, this threshold jumps to $160/barrel. To utilize low night-time charging rates, BEVs will need sufficient battery capacity to last the whole day. As mentioned above, such large battery packs will be very expensive. The use of smaller battery packs in such high utilization autonomous vehicles will require regular fast charging during the day, strongly increasing fuel costs. Such more frequent charging will also reduce the vehicle utilization rate, complicate the operation of an autonomous fleet and increase travel time on long trips. 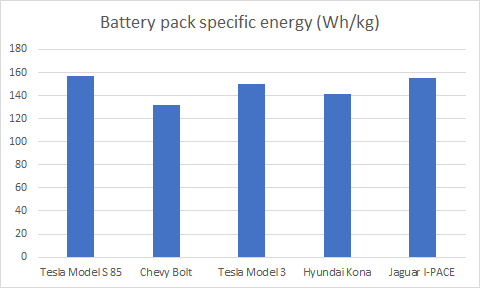 BEVs therefore lose out to ICE hybrids on capital costs when using large battery packs, and on fuel costs (as well as practicality) when using small battery packs. Autonomous long-distance freight trucks will operate 24/7, implying that slow charging will not be an option (regardless of whether it is night or day). Such trucks will therefore lose out to ICE hybrids on both fuel and capital costs. Two key BEV benefits will be invalidated by the advent of full autonomy: rapid acceleration (instant torque) and the limited tradeoff between increased power and efficiency. Autonomous vehicles will strive to minimize g-forces to maximize comfort for the passengers and vehicle powertrains will be right-sized for a specific application (no excessive power required). Maintenance costs of a future specialized ICE hybrid will also be similarly low to that of a BEV. Since the ICE will run comfortably in its optimal operating range almost all the time, wear and tear will be minimal. On the other hand, the added weight of the large required battery pack will increase tire and suspension wear on the BEV. Insurance costs will remain higher for the BEV due to its higher capital cost caused by the large battery. 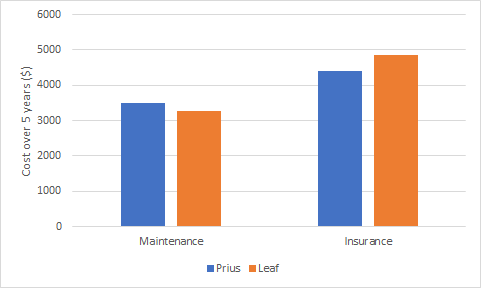 Edmunds 5-year ownership costs for the Toyota Prius and the Nissan Leaf (2018 models). Local emissions from a technologically mature ICE hybrid will be minimal due to its highly efficient engine constantly operating under optimal conditions. Also, since 80% of fuel will be combusted outside of cities, this traditional ICE challenge will become insignificant for highway vehicles. The added weight of large BEV battery packs will also increase road wear, requiring higher road taxes on BEVs than ICE hybrids. 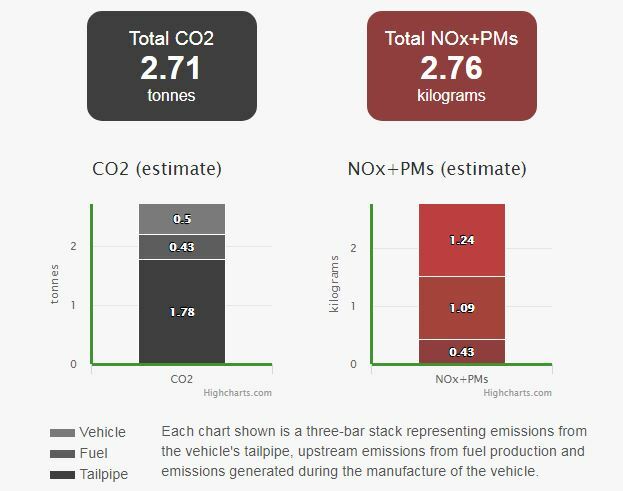 Estimated emissions for the Toyota Prius in the UK (source). 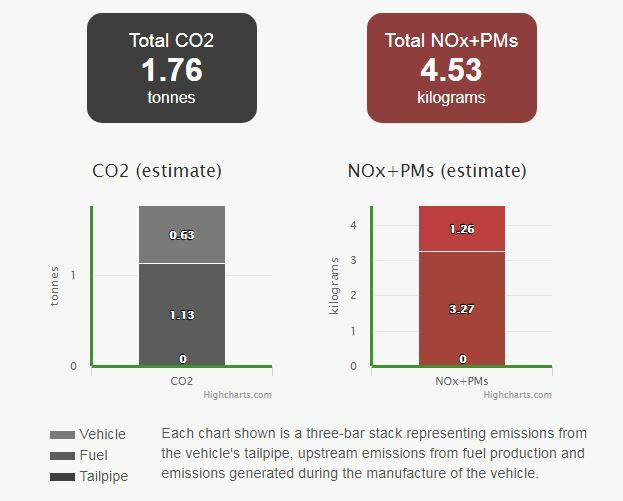 Estimated emissions for the Nissan Leaf in the UK (source). Finally, a few more decades of wind/solar technology-forcing will create the long instances of very low electricity prices required for cost-effective sustainable synfuels for powering ICEs. As outlined in the previous article, powering BEVs with excess wind and solar power will simply be too impractical and expensive. A global policy shift back to baseload generation will be required to improve the competitiveness of BEVs. By the time that we achieve widespread deployment of fully autonomous vehicles (which could take longer than optimists expect), the balance of road transport energy consumption will probably be shifted towards highway travel. Cities would hopefully be moving well beyond the terribly inefficient single-person-in-car short-distance travel mode still prevalent today. I estimate that specialized highway passenger and freight vehicles will account for about 80% of road transport energy consumption by that time. These vehicles will require a very long range, making the required BEV battery pack very expensive (and also very heavy). City vehicles (driverless taxis and short-distance delivery vehicles) can get away with smaller batteries, making them more competitive for the remaining 20% of road transport energy consumption. There can be no doubt that BEVs will play an important role in future transportation markets. Several applications will exist where the required range can be relatively small, while electricity prices will remain lower than fuel prices in several regions. Applications featuring stop-start driving patterns will also favour BEVs. For the bulk of road transportation energy consumption, however, ICE hybrids will have lower fuel and/or capital costs than BEVs. The advent of autonomous driving technology will only swing this balance more towards ICE hybrids.